Agri Boss has announced the release of 3 new model tractors. In the lower power range Agri Boss has released a 20HP and a 25HP tractor that feature 3 cylinder diesel engines,4WD, constant mesh 6F/6R shuttle shift transmission dual stage clutch, 540/1000 rpm PTO, hydrostatic power steering, Category 1 three point linkage, 2 sets of remotes, ROPS and canopy. In the mid range Agri Boss has released a 55HP 4WD, tractor fitted with a 4 cylinder direct injection diesel engine, 8F/2R constant mesh transmission, dual stage clutch, 540/1000 rpm PTO, hydrostatic power steering, Category 2 three point linkage, 2 sets of remotes, ROPS and canopy. 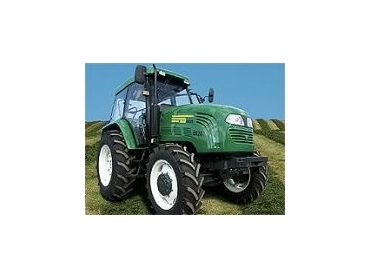 The 2.3 tonne tractor is fitted with a combination of 9.5-24 front and 14.9-28 rear tyres to provide a substantially improved effectiveness of the 4 wheel drive system, by virtue of improved front traction. The expanded range of tractors will continue the tradition of Agri Boss in providing proven and affordable technology tractors, at industry leading pricing, backed by a full 12months warranty, and outstanding service facilities.